Construction began at Westminster’s present site in 1906 and the building was dedicated in 1908. This new edifice was designed in the style of rural “early English Gothic” of the 13th century by the renowned Boston architectural firm of Cram, Goodhue and Ferguson. The stained glass windows are from the Boston firms of Charles J. Connick and the studio of Reynolds, Francis and Ronstock. 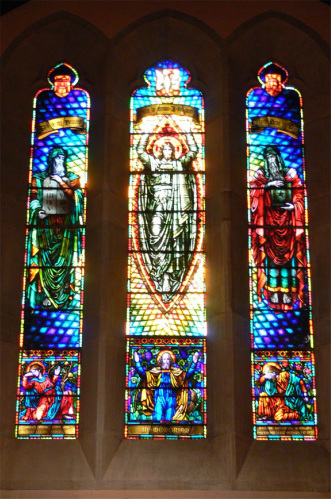 Harry Goodhue designed the chancel's Transfiguration window. It is an adaptation of a Bellini painting seen by Ralph Adams Cram in Naples, Italy. The color scheme of the background is based upon the prismatic colors of the rainbow (the promise of hope). Beneath the main subject are smaller panels containing the three apostles present at the transfiguration: St. John, St. Peter and St. James. The stained glass windows in the sanctuary were completed over a period of about 60 years, from 1902 to 1965. Of special interest are the carved oak stalls in the chancel and the Frank Lloyd Wright-designed flower stand. The funds for the chancel stalls were a gift from Robert Todd Lincoln, son of President Abraham Lincoln. Members of Westminster made the needlepoint cushions in the chancel. The iron bell in the tower has been calling people to worship since the 1840s. Westminster's pipe organ was built by the Schlicker Organ Company, Inc. of Buffalo, NY and installed in the fall of 1972. The four manual, six division organ was re-built by Robert G. Dial Organ, builders and installed in 2002. 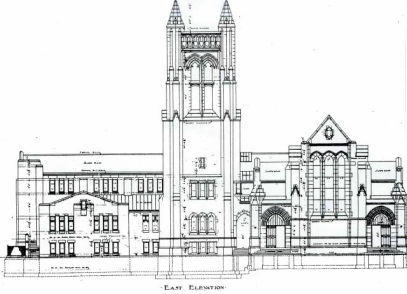 In 1988, the West Narthex, Parish Hall, music room and tunnel under the nave were added to the original 1906 building and the 1955 educational wing. 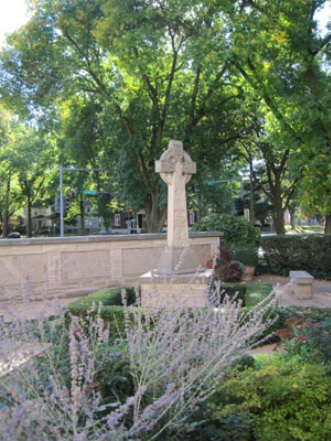 The Memorial Garden, with its tall Celtic cross of traditional knotwork designs and post-resurrection appearances of Christ, was dedicated in June of 2002. In 2003 Westminster dedicated a $2,000,000 major renovation of its building and organ. This project updated classroom spaces and offices, extended the chancel, and provided major improvements to safety and security for this historic building.